The 68-year-old singer is releasing his first album of original music in almost 20 years and admits he has been heavily inspired by his personal life. 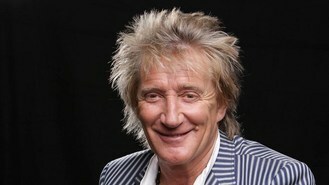 Rod said: "I believe that's one way you can write songs - be as personal as you can. I've always said my life's been an open book, I've got nothing to hide... I think it's even somewhat brave to be that personal and put it down on record for the rest of your life that people are going to hear." After releasing eight cover albums - his five Great American Songbook volumes, a Christmas album, Soulbook and his classic rock collection - Stewart rediscovered his songwriting voice while reviewing his life for his 2012 autobiography, Rod. He admitted: "It was probably the longest writer's block in history, you know, 20-odd years. But it wasn't self-imposed. It was maybe a lack of confidence. I'd sort of given up, let's put it that way. But because of the autobiography, it inspired me. And I had a lot to write about... Probably I was in the right state of my life to start writing these very personal songs."